My Caravan Holidays At Bacton - a Memory of Bacton. I can remember many happy holidays at Bacon, staying at a caravan site (I can't remember which one). At the site shop there was an Alsatian dog called Elva, I suppose she was the guard dog. I loved climbing down the steps etched out of the cliffs, to the wonderful sandy beach below. I would fish for shrimps, and enjoyed the white sand and swimming in the sea. For our tea, Mum, Dad and I would walk to the village and queue for our fish and chips at the local "chippie". I revisted Bacon in 1967, with a school friend. Our first holiday without our parents. We stayed in a cabin, and I can remember going to the local Pub. They were starting to build the oil rig, and we met some American's working on the rig, but that then changed( in my opinion) the wonderful beach. 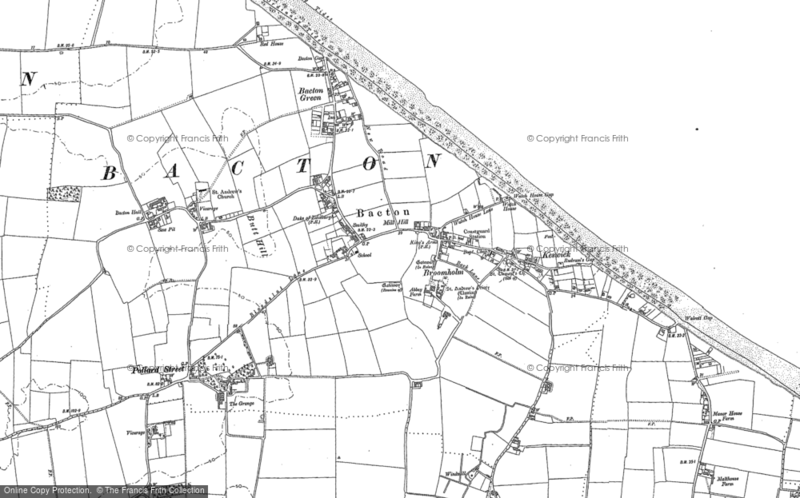 Now living in New Zealand, I often wonder what Bacton is like now. If anybody reads this I would love to hear from them. A memory shared by Sue Followell on Oct 18th, 2010. Send Sue Followell a message.